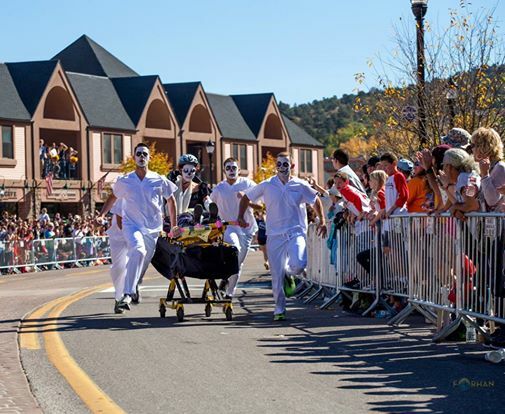 Last Saturday, my husband and I ventured into Manitou Springs for the annual Emma Crawford Coffin Races. We haven’t done that for probably fifteen years and wow what a change! It has become a huge event. The town of 5000 swells to 20,000 and it’s hard to move. The atmosphere is festive and friendly, and the crowd is young with many small children. A parade led by hearses circles the square so that all the teams can show off their creativity. I really liked the Ghoules Verne and Steampunk teams, but there were also Pirates, assorted monsters, Bumblebees (? ), Egyptians, etc. There were over thirty teams competing on Saturday with each race run with two teams. Every team had an Emma and a suitable coffin. Years ago, actual coffins or plywood facsimiles were used. Nowadays, most teams use something that resembles a handcart- good for safety, but lacking in authenticity. A fun, free event! Scroll down to read about Emma’s history. 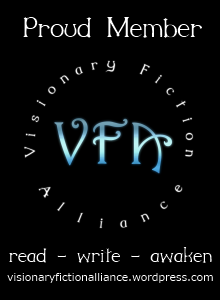 I wrote a whole blog about it. I have never heard of this. It looks like Sturgis for the dead. People are so clever. Thank you for sharing. How fun is this! Just goes to show we’ll do anything to celebrate! Your early description of the town increasing in headcount for the Coffin Races puts me in mind of Easter Week in Fort Lauderdale, Florida. I used to live there. I remember them having to close down one lane of traffic on A1A, beachfront, to allow for the swarms of pedestrians crowding the road, sidewalks, and beach. It’s amazing how a popular event, or season, can attract an audience. It looks like everyone had fun, here. Despite the parking nightmares and crowd, everyone was incredibly well behaved. Very cool. I’d love to see this in person.